The three award winners have their sights set on shaping their communities through agriculture. The winners of the third annual Russell Libby Agricultural Scholar Awards are an ambitious bunch. High schooler Elizabeth Napolitano saw an abandoned orchard near her home and rallied friends to help restore it. 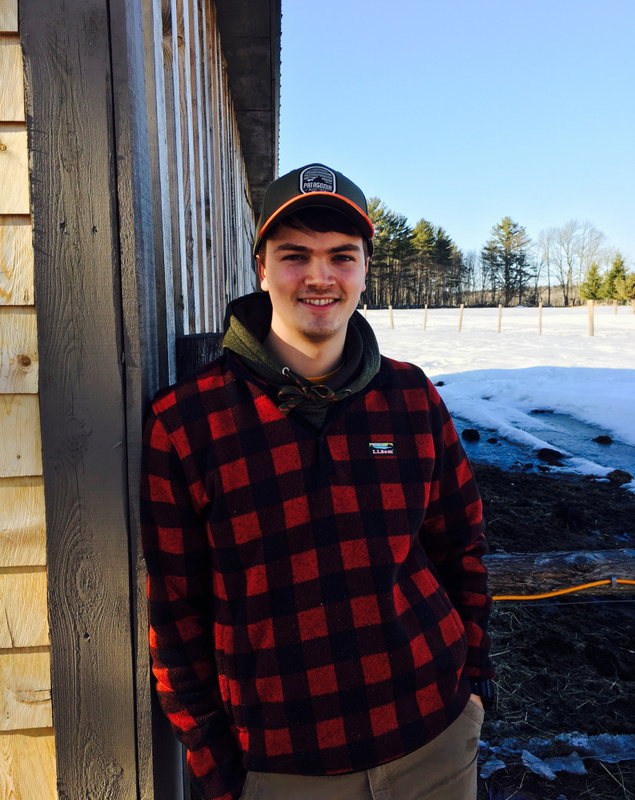 Slade Emery studies sustainable agriculture while also raising Highland cattle and exploring breeds for the farm he hopes to start in the next few years in the Maine town of Detroit. 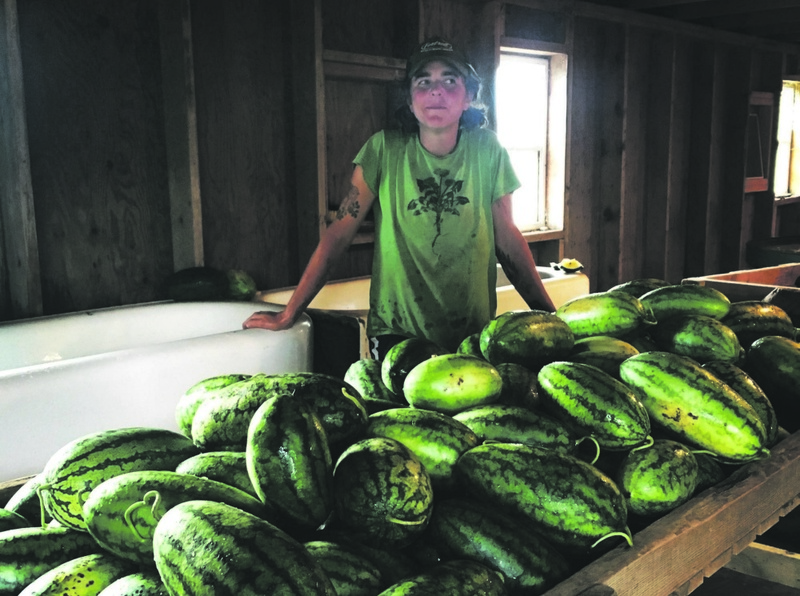 And Meg Mitchell is making changes at South Paw Farm so the business will be more sustainable for her growing family, while sharing the tough lessons she learned as a young farmer so others can avoid the pitfalls she faced. The $1,500 Russell Libby scholarships are named for the beloved, late executive director of the Maine Organic Farmers and Gardeners Association. They are awarded to people in three categories who share Libby’s vision: a Maine high school senior planning to study sustainable or organic farming at a college in Maine, a student of sustainable agriculture at Kennebec Valley Community College, and a MOFGA journeyperson program participant. The Maine Sunday Telegram partnered with MOFGA to offer the scholarships with support from Lee Auto Malls. We talked with the winners (their comments edited here for length and clarity) about their futures in agriculture. I’m not really sure. It just kind of happened. I started horseback riding lessons when I was 5. I did that on and off until sixth and seventh grade. In seventh grade, that was the first time I had exposure to an actual farm. We had a job shadow day at Bonny Eagle Middle School. I shadowed at a local farm that is no longer in business. They had cows, and they sold the milk and made ice cream and made a bunch of goodies in the bakery. … (I liked) working with the people in the bakery. They were just really nice. And working with the animals – I’ve always loved that and just being able to work outside. The judges were especially impressed with your work to restore Moulton’s Orchard. How did that project get started? I had exposure to working with apple trees at Little River Flower Farm in Buxton. Then I just noticed that the orchard was abandoned and the trees had a lot of fruit on them. They obviously weren’t doing anything with the land, and the trees were still productive. I wrote a letter to the owner, who has since passed away, but who was in the Gorham House nursing home. The letter was forwarded to his son, who emailed me. … Eventually, the insurance company approved me and a small group of people working in the orchard, starting last summer. Cleaned it up. We’ve pruned some trees, and we’re planning to prune some more once the snow melts. We’ve done a lot of research into making organic pesticides and fighting the diseases that are all throughout the trees in the orchard – they’re in rough shape. We’re going to try to put those into use this summer. (We’re hoping to) harvest some safe apples to be able to provide some food to local families that need it and to just give other people the experience of coming and picking apples for free and working within the community. It’s definitely a long-term commitment. What kind of farming do you hope to do in the future? I’ll definitely continue with this project, but if I were to have my own farm it’d probably focus on fruits and vegetables. I think it’s an important part of nutrition, and nutrition is an important part of everyday life and it can bring people together in a community again. What will you do with the scholarship money? I’ll put it all toward college. I’ll be attending KVCC (Kennebec Valley Community College), studying sustainable agriculture. A long time ago, I was looking into zoology. I was really interested in animals. I came to realize that it wasn’t a good living for this area, and I knew that I really wanted to stay in central Maine. I grew to understand our agricultural system as a country, and I grew to realize the harm and the disgusting way we treat our animals and how inhumane it is. I grew to love what I do now, which is taking care of animals that are free-range and grass-fed. What made you certain that you wanted to stay in Maine? I traveled a little bit when I was younger. My uncle was in the Navy, so we traveled to visit them. I came to realize where I live now, in a small town with about 800 people, it’s all community-impacted. Everybody on my road I know, and they know me. If we have a problem or an issue, we can go to them. … It’s kind of like a big family. … It’s a good environment to grow up in. If I have a family, I would like them to have the same experiences that I’ve had growing up in central Maine. Where do you imagine your career as a farmer in five years or so? I’m trying to balance the act of becoming a full-time farmer but knowing it’s really hard to get started. I’ll be trying to find a full-time job in the agricultural system or start off small as I accumulate more supplies and equipment. For now, I’m looking to build a house on a piece of property in Detroit and hoping to have a small-scale farm in the next five years. At my family’s house in Detroit, where I live now, we have seven Highlands. My brother is interested in getting into Belted Galloways. I want to be a more diverse environment. At school right now, they have some Katahdin sheep. I’m taking an internship at a farm here in Palmyra, and they do pork. So I’m interested in some pork, chickens, some lamb and cattle. It will pay for pretty much a whole semester, which is pretty cool for me. I work part time during the school year and full time during the summer, so I can get out of school with no debt. Then it will be easier to take out a loan to get into greatly more debt to start something in the future. I grew up in the suburbs, and I knew that I wanted to gear my life to make choices that were independent of corporate agriculture and the corporate industrial complex. I thought the best way to do that would be to gain independence at least for the things that I could control, like production of food. 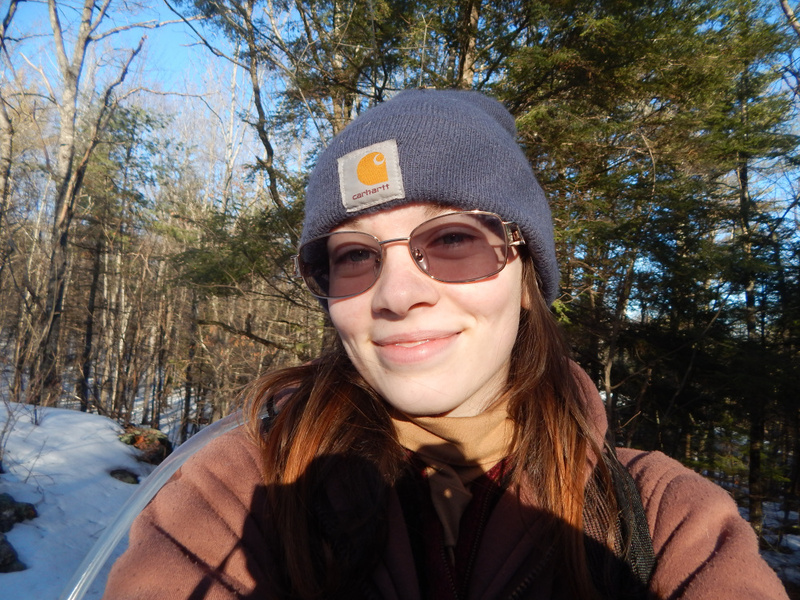 Right out of high school, I got a job at a farm in Maine and since then – really 2008 is when I started my own business, when I realized I could make a living professionally at doing this and helping others to break off from the industrial food chain. What’s the biggest thing you have learned during your years as a farmer? I really underestimated the value of business planning and financial planning. I had the skills to produce food, but I really lacked the organizational skills required to figure out seasonal cash flow and to make smart investments so I wouldn’t over-capitalize or be under-capitalized. In your application, you talked about farmers’ role in food justice. What does that phrase mean to you? I believe it’s everybody’s right to have access to affordable, fresh local foods. My role has been to participate in our (Portland) farmers market’s low-income access program. That’s meant working on fundraising opportunities, as the program is already in place. The more cash we can get into that low-income access account, the more effective it’s going to be. Just last (month), we had this awesome farmers supper event at our winter market location. We had a silent auction and sold tickets to the event, and the food was all made with donations from local farmers. It had a dual purpose of highlighting how exciting winter food in Maine can be. Where do you imagine being in five years? South Paw Farm was just accepted into the U.S. Department of Agriculture Value-added Producer Grant program. This winter we’ve spent finalizing our recipes for three value-added products made with tomatoes and peppers and – to tie in with that financial planning aspect – some of the more perishable items we grow in the summer. We are trying to add value to those and make them shelf-stable so we can perpetuate an even cash flow all year-round. We’re making a spicy and mild salsa and a tomato marinara. We’ll be selling at the Portland Farmers’ Market and then our other wholesale locations, like Rosemont and the Portland Food Co-op, and we’re hoping to kind of branch out our marketing to, once a month, deliver to co-ops and groceries along the coast and in central Maine. Before I started this business, I was working at farms around the country. One of them was in Paulden, Arizona. They were just a small vegetable farm then. Since then, they’ve grown to incorporate value-added products into their list of products. This farm in Arizona, Whipstone Farm, has figured it out, seemingly. … We’re hoping to use the funds to go do a five-day internship program at Whipstone.